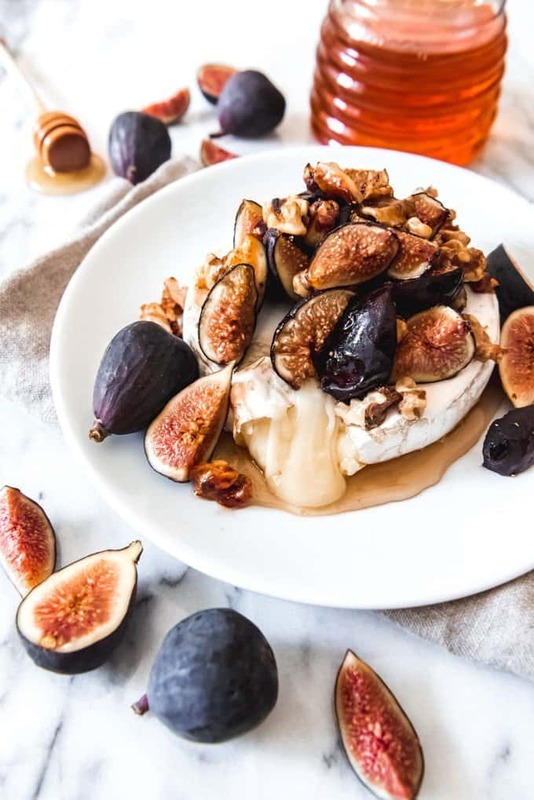 When it comes to entertaining, this elegant Baked Brie with Figs, Walnuts, and Honey is an easy-fancy appetizer that is perfect on crunchy apples or toasted baguette slices. 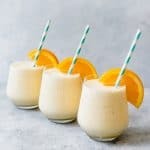 It’s melty, sweet, and savory all in one, delicious bite! It’s no secret I adore baked brie. It’s one of my favorite foods in the world and I make this apricot brie en croute (it just means it’s wrapped in puff pastry) for holidays, parties, and other gatherings since it’s basically one of the best things ever. Brie is the easiest, most glamorous appetizer that takes almost no effort but will easily impress a crowd. I don’t know too many people who don’t go weak in the knees over molten cheese paired with something sweet (my husband being one stark exception, although after years of me serving baked brie he has been developing an appreciation for it). I honestly will skip dessert and choose the baked brie almost every time it’s served. 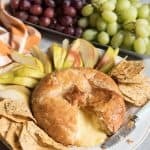 This is one of the best baked brie recipes that I have ever tried, and it’s hardly even a recipe. We are talking 4 ingredients (the four from the title even) and maybe 5 minutes of prep time cutting figs and chopping walnuts. 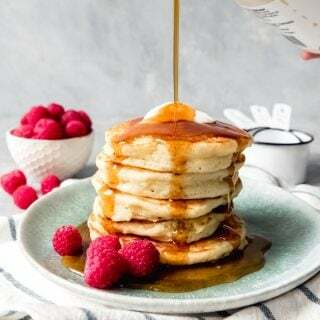 But I still wanted to share it as part of my week of California-inspired recipes in my American Eats series since it checks off so many of the boxes of what makes a food “Californian”. First off, this baked brie with figs, walnuts, and honey makes me think of California’s wine region in Napa Valley. If you have never been to this part of the Golden State, it is one of the most beautiful places you can imagine, with scenic hillside vineyards in a Mediterranean climate. 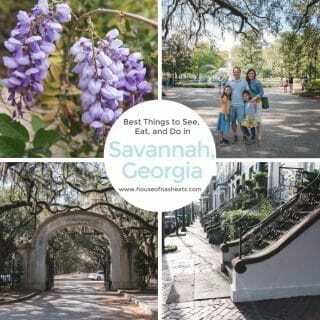 There are quaint towns and upscale restaurants. 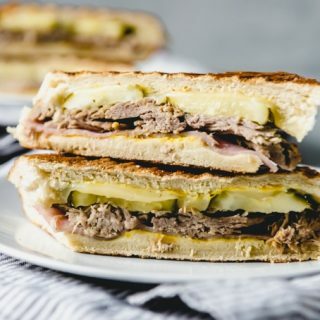 It’s a foodie mecca, with its own culinary traditions largely centered around the many wines that are produced at the hundreds of vineyards in the area. When I think of Napa, I think of casual elegance, focused on fresh, rich, wonderful flavors. And even though I don’t drink wine, everybody knows that wine and cheese are classically paired together. 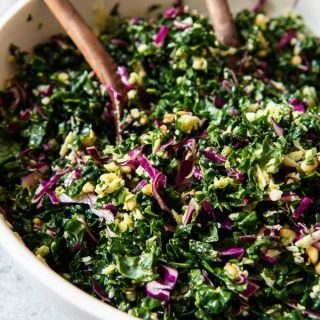 But the other ingredients in this easy appetizer also represent California well. We had a fig tree in our first house in San Jose and actually learned how to eat figs from a worker who was helping us with our construction remodel and showed us how to eat them raw by biting right into the soft outside skin. 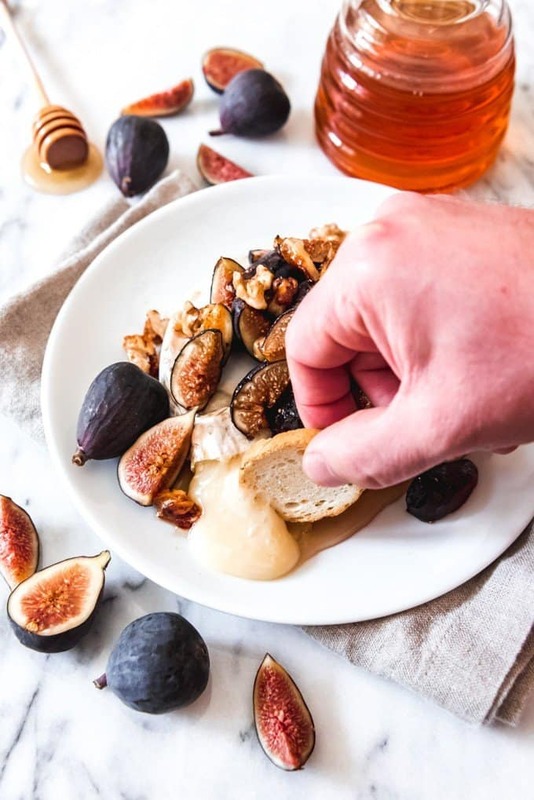 If you haven’t tried eating fresh figs this way, they are so delicious! Black Mission figs are the purple skinned figs with the softest, sweetest flesh with wonderful fig flavor. They were first introduced to this continent in California in 1768 by Franciscan monks who planted them at missions up and down California. 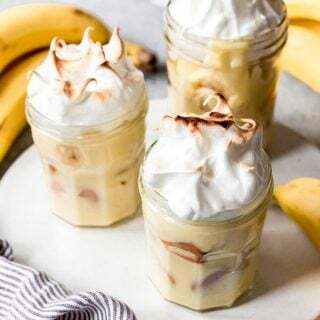 They will ripen on the counter like bananas and are very perishable once ripe. So if you have them, use them right away. 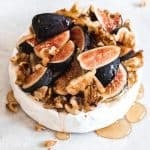 While any figs would work for this baked brie recipe, I think that the dark-skinned Mission figs with their rosy interiors are the most striking and delicious for a baked brie. And if you cannot find fresh figs because they aren’t in season, you could absolutely substitute fig jam instead. It’s just as delicious, just maybe not as lovely a presentation as the fresh figs are. Then there are the California walnuts. Oh how I love walnuts. They have such a fantastic taste and crunch! And incredibly, 99% of U.S. walnuts are grown in California’s Central Valley, and three-quarters of the world walnut supply comes from California as well. 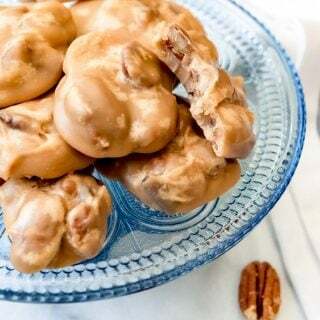 So how could I not include a recipe highlighting California walnuts during California week?! 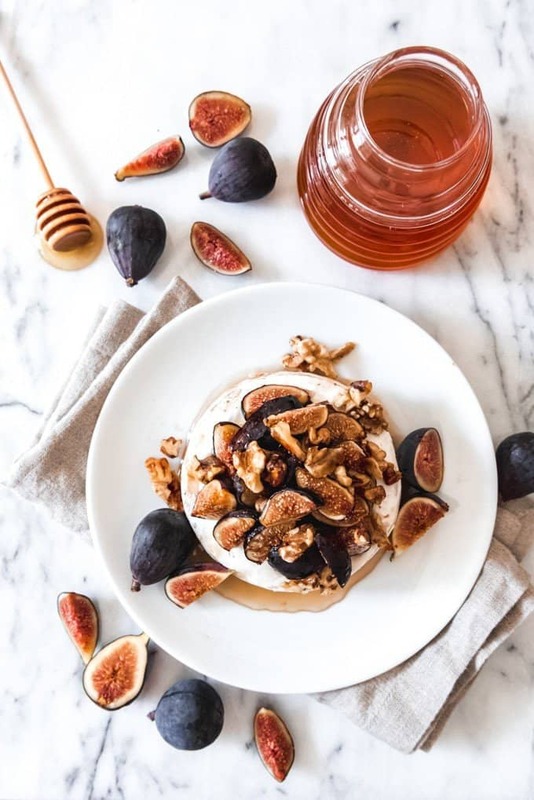 Finally, the honey component of this baked brie with figs, walnuts, and honey has a special connection for us because our close friends are actually bee farmers in the Sacramento area. It’s their family business that has been passed down for generations and they have even taken us out to look at the hives in bee suits and everything. The Millers were some of the first friends we made when we moved to California after graduating law school and even though we don’t live close any more, we still make it a point to visit them as often as we can. Brie is such a perfect canvas for experimenting with flavor combinations. 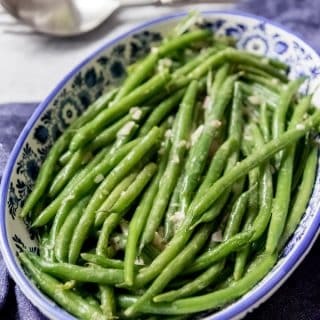 It’s a great thing to have on hand through the holiday season because you can pull a wheel of brie out of the fridge and top it with any of the following items, many of which are pantry staples, and serve it with crackers or fruit and have an effortless, impressive appetizer for guests that is virtually no stress for you. What is your favorite easy appetizer to serve during the holidays? I would love to hear in the comments below! 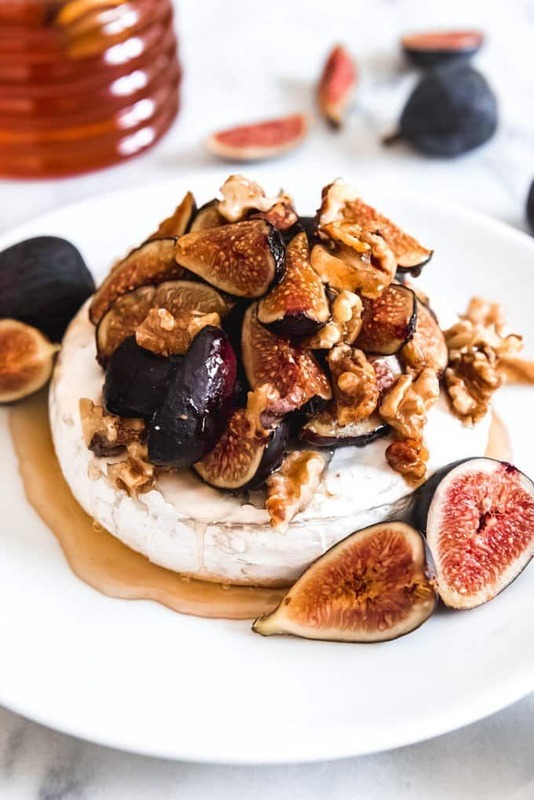 When it comes to entertaining, this elegant Baked Brie with Figs, Walnuts, and Honey is an easy-fancy appetizer that is perfect on crunchy apples or toasted baguette slices. 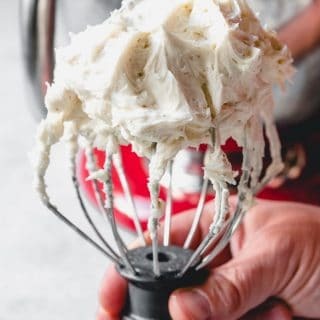 It's melty, sweet, and savory all in one, delicious bite! 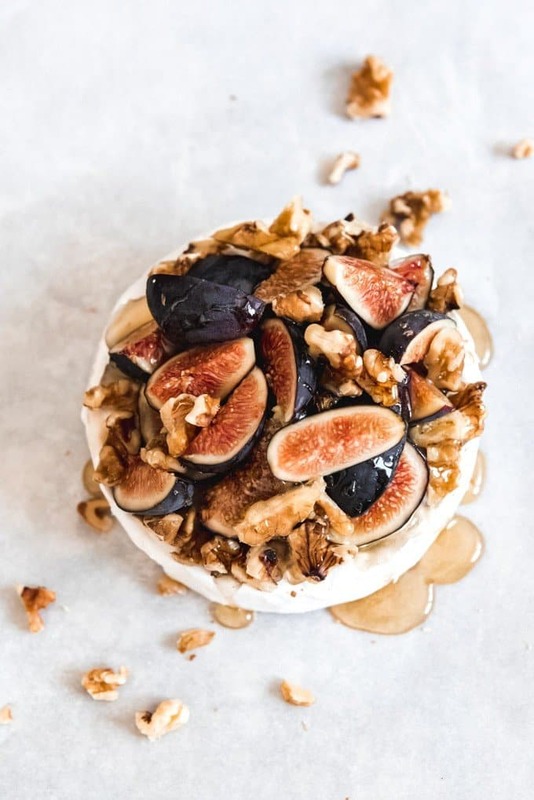 Pile the figs and walnuts on top of the Brie and drizzle liberally with honey. Cover loosely would aluminum foil and bake for 20 minutes, until the cheese is soft to the touch on the side of the rind. 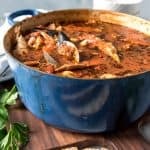 Remove from oven and transfer to a serving plate, then drizzle with additional honey and serve with sliced baguette or crackers. 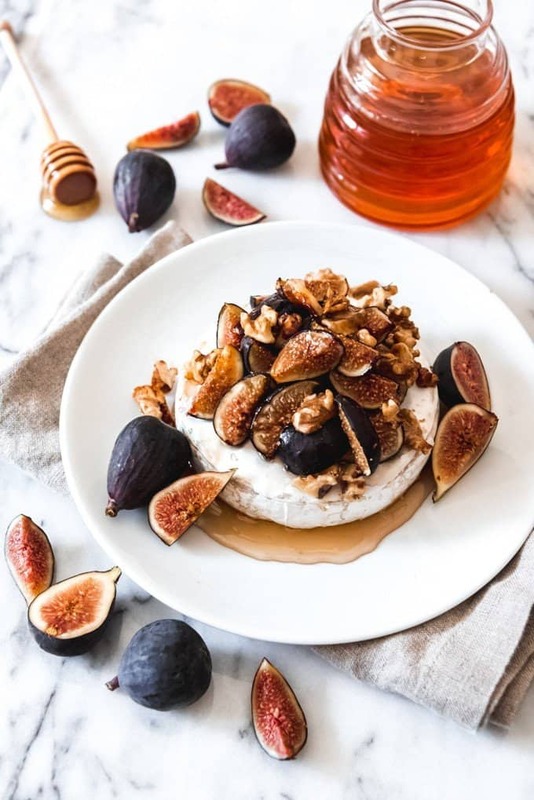 Alternatively, if figs are not in season, you could just use 1/2 cup of fig jam in place of the fresh figs and honey.